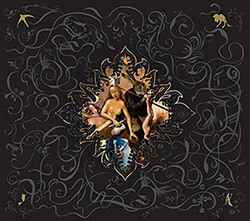 Composer John Zorn's Simulacrum ensemble of Trevor Dunn (bass), John Medeski (keyboards), Kenny Grohowski (drums), Matt Hollenberg (guitar), and Sara Serpa (voice) in their 6th album of heavy improv, celebrating the 500th anniversary of the passing of painter Hieronymus Bosch. 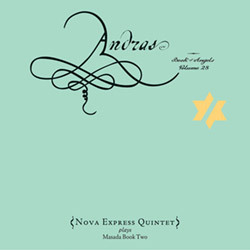 The 28th release in John Zorn's Book of Angels series, performing the Masada song books in distinct groupings, brings together the all-star NY group of Cyro Baptista, Joey Baron, Trevor Dunn, John Medeski, and Kenny Wollesen for a blend of jazz, Afro-Cuban bop, Exotica, and more. 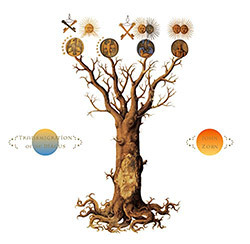 Inspired by the Gnostic philosophies of the Nag Hammadi library, Zorn invokes the mystical journey of the soul through the bardo as a tribute to the passing of Lou Reed, presented by his Gnostic Trio of Bill Frisell, Kenny Wollesen, and Carol Emanuel, plus guests. 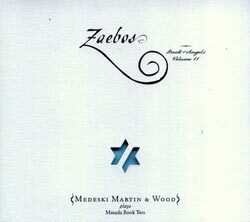 Medeski Martin and Wood performing John Zorn's lyrical Book of Angels Masada material, twelve exhilarating arrangements that shred and burn with passion.